Style How to enter the avant-garde fashion world by way of Port Dover, Ont. How to enter the avant-garde fashion world by way of Port Dover, Ont. 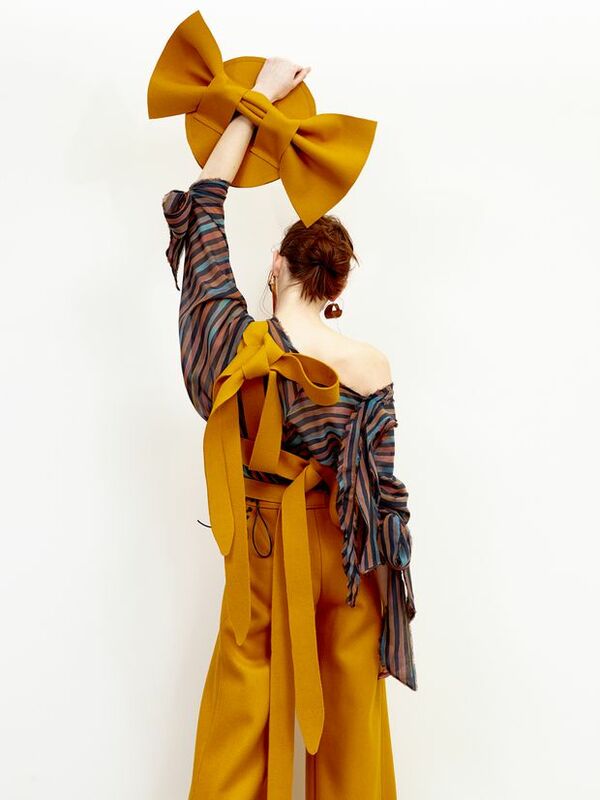 When you think about the kind of fashion design that challenges your sensibilities through novel silhouettes and fabrics à la Alexander McQueen or Rei Kawakubo, you likely assume its references come from contemporary art or obscure muses found on the fringes of popular culture. But that is not entirely the case for emerging avant-garde Canadian designer Stephanie Moscall-Varey. 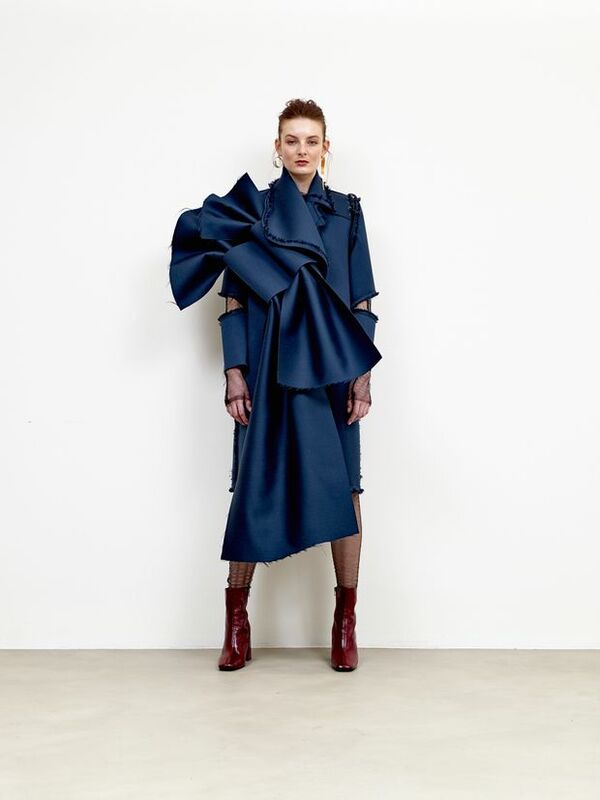 Her collection, Moskal, which debuted at Toronto Women’s Fashion Week in March, sources its sense of grace from nature – more specifically, farmland and the geometry of crop segmentation. ''I’m trying to create beautiful shapes that are inspired by naturally occurring phenomenon or even the human impact on nature,'' Moscall-Varey says. ''A lot of the shapes in my last collection were from the contours on the land left after you till a field.'' Those pieces, sumptuously made with raw edges and outsized bows, started with the influence of Dust Bowl-era photographers such as Dorothea Lange and more contemporary Midwestern American image makers. Her humble ambitions have already paid off and Moscall-Varey has enjoyed boosts from some of Canada’s fashion elite, including designer Jeremy Laing, for whom she interned, and broadcaster and columnist Jeanne Beker, who chose her work to close Ryerson’s runway show the year she graduated. Moscall-Varey was also selected as one of the first three fellows of the school’s Suzanne Rogers Fashion Institute, which was set up to cultivate the country’s top design talent. These early endorsements have led to Moscall-Varey's next chapter: studying at the London College of Fashion this fall. ''It will give me the opportunity to work with manufacturers that I'm closer to, to continue my brand and elevate it,'' Moscall-Varey says. For more information and to shop the collection, visit stephaniemoscallvarey.com.